Co-founded by MCH with Matthew Wilkie and Sean Tyler, theplaygroup was a loose association of three theatre writers working together to develop opportunities for producing their own writing. 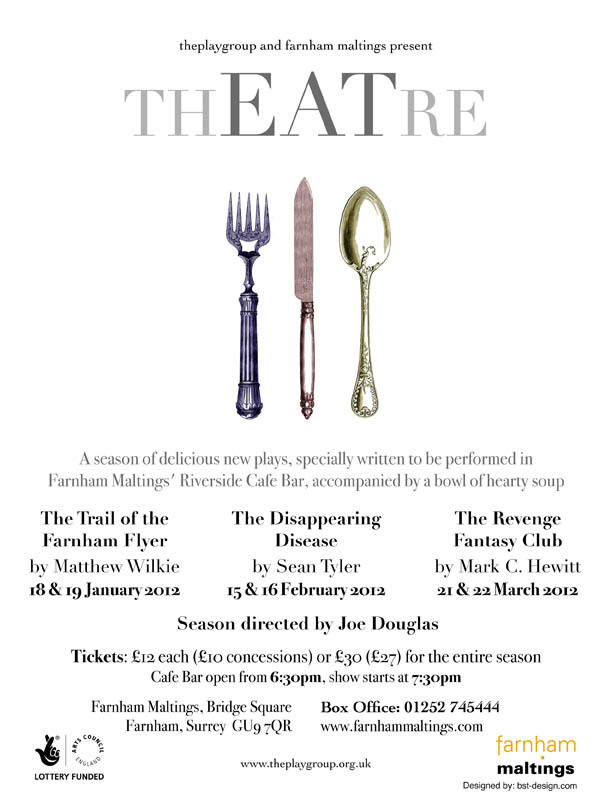 A successful series of new plays written for the café-bar of Farnham Maltings in Surrey. Each if the three pieces written was a two-hander and ran for two nights accompanied by a light meal. The season ran through January, February and March 2012 with each of the plays directed by Joe Douglas.